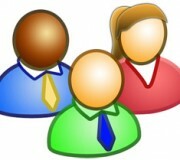 This add-on migrates the user groups from Joomla to WordPress. It has been tested with Joomla 1.0 to 3.4 and with the latest version of WordPress. The Groups WordPress plugin is required. Fixed: Revert back the last fix. Don’t rename the “Registered” group. Fix the bug from 1.4.0 where the “Registered” group was removed from users when importing posts.